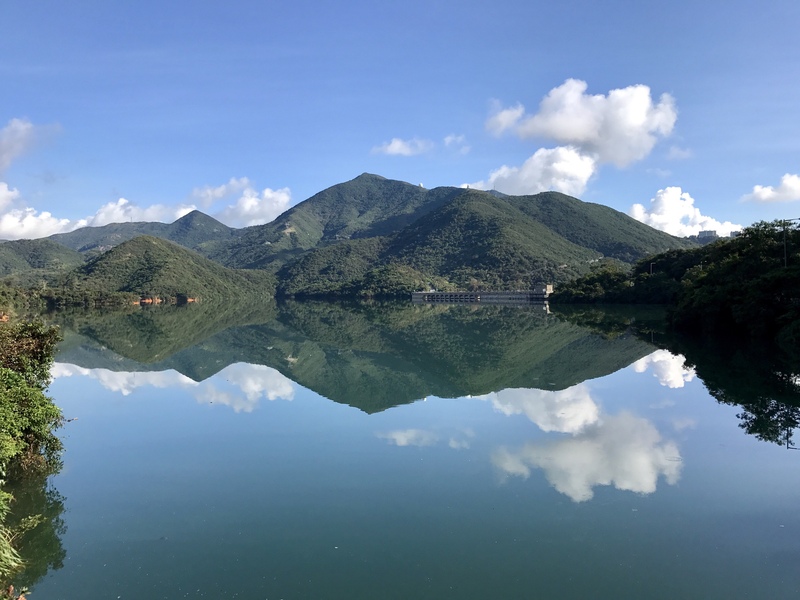 I start my first blog with one of the easiest trails on Hong Kong Island ensconced near the Lei Yun Mun Holiday Village at Chai Wan; the Sai Wan Ho Fort Morning Trail. This is a very historical site with scenic views. For those interested in history there are details about how this fort was used during World War II by the Japanese and there are remnants of prisons too. How do you get there – take the MTR to Sai Wan Ho and just outside Exit A is the number 14 bus which takes you to Stanley. Alight at the Lei Yun Mun Holiday Village bus stop and turn left and walk up the slope. I clicked pictures of the boards too if readers want to know more about the place. And you can walk around, relax in a sitting area below. And we continue uphill … Enjoy the blue skies and the views from above. Climb up these steps and you’ll get lovely pictures And down we go back the same way we climbed up. Along the way you’ll come across sitting areas where you can relax and take in the views. Wall around and you’ll see many structures used to store ammunition I guess. And then we just walked back down the same way we got here, saying silent goodbyes to what may have taken place over 100 years ago. Passing by the prisons or iron bar cells. This is a very easy trail, slight slope up but lovely views from the top. If you like history then this is a must do hike.